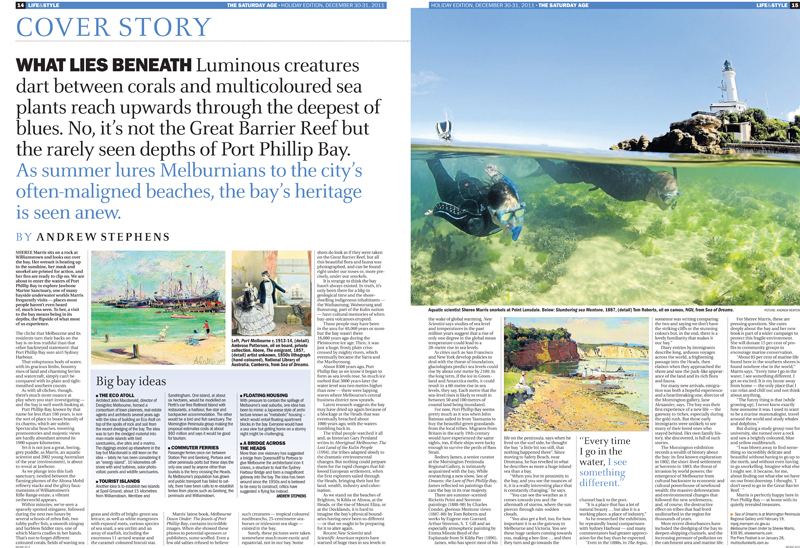 I was lucky enough to take intrepid explorer and journalist from The Age, Andrew Stephens for a little glimpse into the world of Melbourne Down Under. We decided to snorkel at Jawbone Marine Sanctuary, Williamstown. Literally on Melbourne’s front door step this little gem boasts white mangroves, basalt rocky reefs, seagrass meadows and shimmering sandy plains. Andrew was a natural water baby and with the water warming up there was lots to see. You can read all about it in his fabulous article. 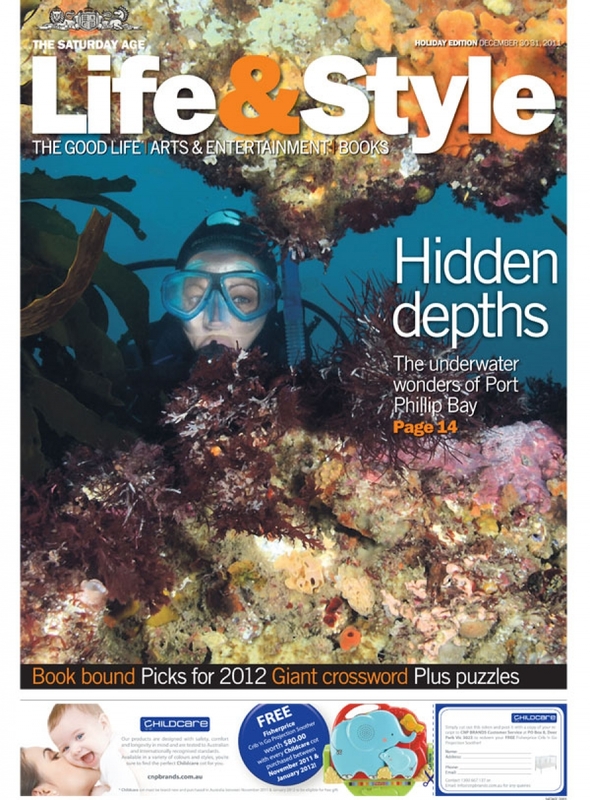 Not only did we make it on the cover of The Age, we made the cover of Life and Style which featured a double page spread! Thanks Andy!